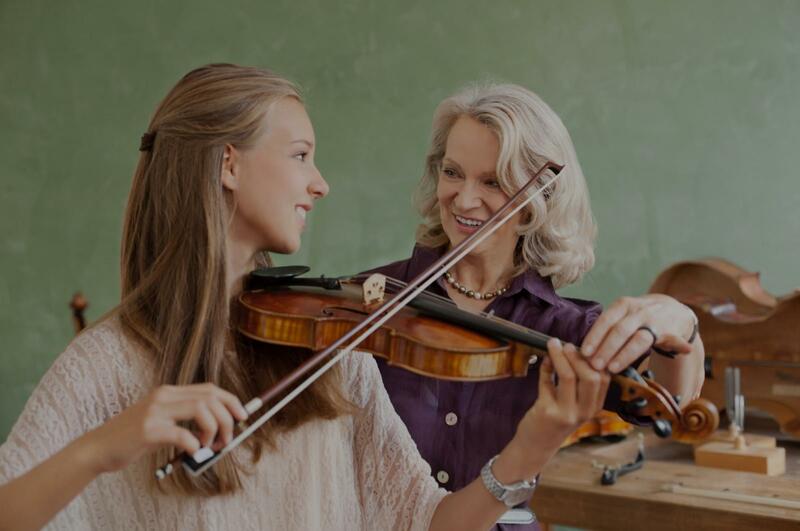 Columbus, GA Violin Lessons Near Me | Fun Classes. Top Tutors. Check out some of our most popular teachers near Columbus, GA including Midland, Fort Benning and Hamilton. I was raised in the Suzuki method, trained in it, and I believe in it. It is the most effective school of education for new musicians who want to learn reliably. I've been teaching it 6 years. I can talk to you for days about the method, but I will sum it up as quickly as i can. 4: Strong relationship between student, teacher and parent. If the student listens everyday, practices everyday, practices what i tell them, and is made to love the music, you will learn. I've taught hundreds of students this way and when all the conditions are met, all my students have had success. Joshua has been a musician for over seventeen years and has been teaching for nine. He is an award winning composer, critical thinker, and an straight-forward teacher. Joshua has a high standards for his students and himself. Joshua has studied Suzuki method under Dr. Paula Bird for four years and has taught over 100 students. He performed his official Suzuki training under Dr. Laurie Scott. Joshua also taught while studying; at the Texas State String Project under the direction of Dr. Ames Asbell and Dr. Karla Hamelin, and as counselor at Texas State String Camp. Joshua is an award winning composer and has crafted hundreds of songs, ranging in style from classical symphony to electronic dance. He has also arranged hundreds of works for violin and piano. ve two critical expectations for my students. 1: I expect my students to practice everyday, with time depending on age. (10 minutes a day for 5 year old's, 20 minutes for 10 year old's, etc.) No exceptions. Lessons are a place for me to teach you, not a place to watch you practice. 2: I expect parents to participate in every lesson. You are the teacher six days a week, I only get to teach them on one. If everyone understands my expectations, students will grow and learn quickly, and have a great time doing it! I develop a lesson plan depending on each students strengths, weaknesses, talents, and personality. No one student is identical to the next, so none will be taught the same, but everyone will follow a similar pattern. Piano lessons with full keyboard. Stands, couches, and a small library of sheet music. Suzuki style instruction for violin technique. For songwriting and performance I focus on the analysis of music to find a middle ground of emotional expression and theory. Once that middle ground is found we explore what music means to the student, and how they can use it as a tool of expression. I've only had one lesson so far but he gave me a lot of helpful tips already both during the lesson and after when I messaged him with questions. I'm really looking forward to future lessons! My daughter has been taking lessons since may and she loves it. Joshua is a great teacher, he us straight forward and will not move her forward unless she has fully learned what he taught her. If your kids need lesson he is your guy. Thanks for being a great teacher. I've been playing the violin self-taught for about two years because my first experience with a violin teacher went horribly. So after two years I figured I'd try again. I was on Reverb Lessons for 6 months, and it was a complete nightmare. The most highly rated teacher they provided didn't seem like he was teaching me anything at all. Most of our lesson were music theory, which was helpful, but I would only play the violin the last 5 mins of the two hour lessons. He kept telling me, "i didn't have it in me to be a violinist" and he told me to play piano instead. Well it turned out he didn't even play the violin! might not progress in the violin (which I was madly in love with) but dispite my bitterness I decided to try to find a teacher again. I teach everything from beginner to advanced, basics to shifting, vibrato, theory, and technique. I teach classical, religious, fiddle, and pop. I also teach group ensembles, trios, quartets, etc. I help students with their school orchestral music and audition pieces also. Learning a musical instrument should be fun, exciting, and most importantly pain-free. I have been playing the violin for over 24 years. I like to teach beginning, intermediate, and advanced students regardless of their age. I would prefer beginners to take at least one year of piano lessons prior to learning how to the play the violin. This way students can transfer basic music knowledge into violin playing, especially in the field of reading and learning new music. My goal is to help music lovers learn how to teach themselves one day when a music teacher is no longer available. I started teaching in 2011 while I was completing the Master of Music degree at Rice University. As I finished my Doctor of Musical Arts degree in December 2017, I decided to build and expand my own studio in Burleson, TX. I also tutor beginning, intermediate, and advanced Chinese and have always loved Chinese literature. Thank you Chaul for a great lesson and also for being so patient with me when my computer didn't log into the session right away. I enjoyed my first lesson and am excited to have such a fabulous teacher that sent me material and information to prepare for my first session. I feel confident that I will be able to progress and I know that I will enjoy learning with you. I'm looking forward to my next lesson. Within a half hour lesson I learned the proper way hold the bow and the chords to pluck for twinkle twinkle little star. You can feel how excited she is to be teaching someone her passsion. I'd definately recommend her. Hi, I'm Brianna! Whether you're completely new to music or have taken lessons for years, I'd love to help you meet your goals as a violinist and musician. I've been studying violin and composing for 17 years and specialize in classical music, but my musical background is diverse. I’ve performed as an orchestral and chamber violinist, written and performed for film scores, played in musical, opera, and ballet, and recorded for singer/songwriters. My teaching approach is tailored to the needs of each student and I’ve worked with violinists of all ages. I especially love working with adult students – it’s never too late to try something you’ve always wanted to learn! Whatever you’re hoping to gain from lessons, I would love to talk and start learning together! Brianna is a very talented musician and teacher! Extremely professional and responsible, her lessons always go smoothly are very fun! It is important to have teacher, student, and parents work together to see the accomplishments happen in the future. I make the lessons meaningful, so that my student can retain the information and practice effectively at home. My ultimate goal is to have my student think critically and listen carefully, so that they can become their own teacher. I always wanted to play the violin when I was young, but the opportunity was absent because our family moved to different places. During my middle school, I had an opportunity to borrow a violin from my orchestra class. I didn't know the fundamental so, I started to strum the strings like a guitar. Unfortunately, the string broke and I panicked. My father took me to the music store and that's when I found my first private violin teacher. After taking private lesson for 1 year, I joined the Jr. Philharmonic Orchestra of CA and played with the group for 5 years. Other orchestra experience: Bellflower Symphony, Los Angeles Valley College Symphony, Manassas Symphony, and Washington Sinfonietta. I like to visit Interlochen and Curtis Summerfest for adults to play with other musicians. Music is a universal language and it should be integrated into our lives! Don't hesitate to contact me to schedule a lesson. Experienced teacher of 7 years, specializing in the beginner/intermediate violin students! All ages welcome. Lessons are customized and catered to the needs/goals of each student. Not only will you be playing songs in no time, but you will be building a strong foundation of note reading, music theory, ear training, sight reading, technique, and more. Can't wait to get started! Lainey is an accomplished music teacher and mentor. She believes in teaching the art and passion for violin playing above all else. Lessons are customized based on students' individual learning style and goals. She encourages creativity while establishing a strong technical ability. Lainey teaches by the Suzuki method but also incorporates outside materials to build a solid foundation of technical skill, sight-reading ability, music theory, and versatility in musical styles including pop, jazz, ​and folk (fiddle). Lainey and her students are based in and around Los Angeles. She teaches beginner, intermediate, and advanced students ranging from child to adult ages. Lainey Elizabeth White is a renowned concert violinist, recording artist and music teacher in Los Angeles. With a career spanning more than 15 years and her expansive portfolio of musical ability, Lainey specializes in live performance and has collaborated with countless artists ranging in and out of the classical arena. She is a unique and dedicated artist who inspires excellence among her students and peers. Can't find a teacher in Columbus, GA? "Great instructor and very patient"
Columbus, GA teacher: Erin C.
"My first lesson was great and I'm looking forward to practice and be a better violinist with erin." confident I’m learning correctly and the full scope of my instrument. She has a great studio with all the tools, music and instruments making learning very easy and fun. She has also been very accommodating with my busy work/practice schedule. I would highly recommend Erin as a teacher!" "So patient with my 3 year old son. The curriculum was well suited for a 3 year old boy!!" "Everything went well. Just getting started and had a couple of starting issues with the violin but other than that, good!" in my goals and works at my pace. She encourages me especially when I don't think I can do a particular piece or perform at a recital. I know she can take me through to any level I want to accomplish on the violin." es her lessons long distance via Skype!" "Easy to work with, friendly, patient ,and knowledgeable,"
"Excellent first lesson! Erin is upbeat, and clearly knowledgeable. I think my daughter will really grow here." What Kind of Violin Accessories Will I Need?